Increase solar collection capabilities and upgrade the system. 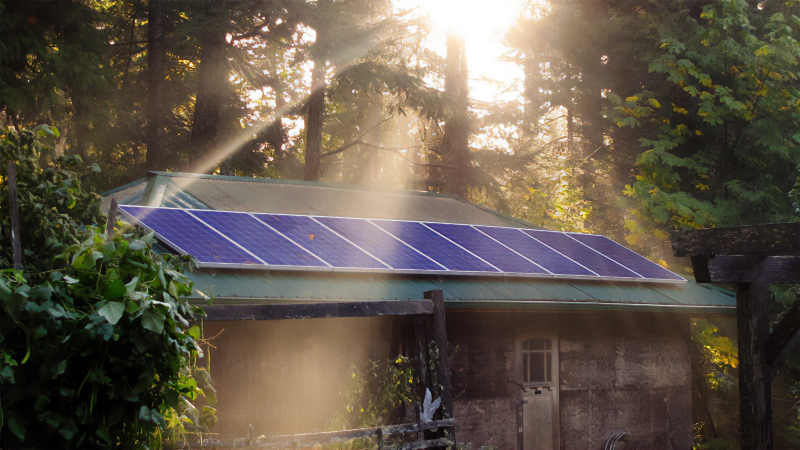 This off-grid system, consisting of multiple arrays and resources, was redesigned to function as a sophisticated mini-grid, based upon the SMA SunnyIsland concept. 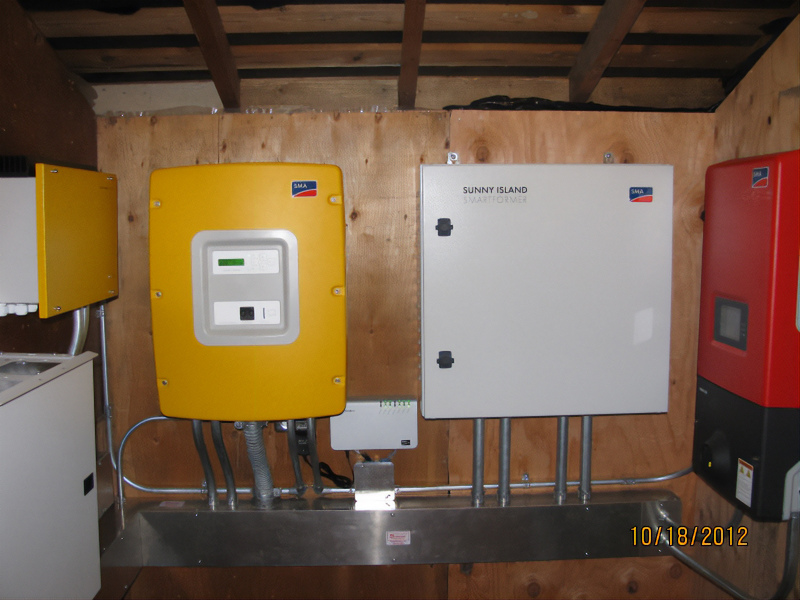 A 2kw array was added to the system on an out-building and connected to the rest of the system by way of an SMA SunnyBoy using AC coupling. This array was oriented more towards the West to take advantage of the afternoon sun.